Blockchain is a nothing but a distributed database, that maintains a steadily growing list of systematized records Known as blocks. Each individual block accommodates link and timestamp of the previous block. Blockchain are being designed in such a way that the data ones recorded in block cannot be altered retroactively. Blockchains plays a role of an open distributed ledger it records the detail of transactions between two parties expertly and in a permanent and conformable way. The ledger can also be programmed to provoke transactions automatically. Presently, most of the people walk into the bank to make a transaction. But the blockchain eliminates the need for a third party and allows suppliers and consumers connect directly. Blockchains are secure by design and decentralized consensus can be achieved this feature makes it suitable for the recording of events, identity management, medical records and transaction processing. This offer reduction in the use of intermediaries between consumers and producers. Block chain technology was primitively designed to decentralized digital currency and it was first introduced by the Bitcoin. 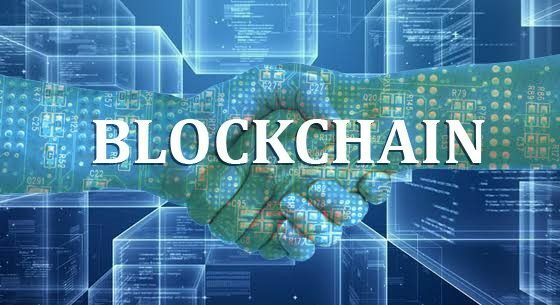 The key behind the blockchain technology is it permitted the transactions of value between individual or several parties without the need for an open distributed ledger.The technologies used by the banking industry are still unreliable, the banking industries should still work on the current system for transferring money between the two entities. Blockchain technology is given a new lift to current technologies, the main concept behind the technologies is sharing economy without a middleman. Block chain technology has grabbed attention and imaginations of developers, Bankers, investors and entrepreneurs worldwide. One thing is certainly sure this technology will have a massive impact on the industry in coming decades. Block chain technology ready to set a new milestone in banking sector, it is transforming the financial industry around the world by making the transaction quick, secure, cheaper and frictionless. The current banking system uses the internet to exchange data and requires third party lenders to verify the payment transfers which sets peer to peer environment. Whereas cryptocurrencies uses the internet to exchange value and provides the permanent storage of every transaction, so there is no longer need of a third-party to ensure each payment transaction. Although the blockchain is dreamed about open system transaction across the financial system, banks are still looking forward for distributed ledger path to create efficiencies. Democratic voting is a serious and crucial event in any country. Security is the main concern when we are implementing e voting system, the existing voting system is centralized by design, means a single supplier controls the database, code base and system outputs at the same time. The lack of an open-source makes it crucial for acquiring the trust from the election organizers and voters. This problem can be potentially solved by blockchains technology. Blockchains technology uses an underlying architectural design which records the database in the form of transactions, a block is a cluster of these transactions. With the use of blockchains a voter can check that her or his vote was successfully transmitted or not, which increases security and simultaneously gains the voters trust. Distributed cloud storage offers peer-to-peer decentralized cloud storage solution. It protects files both on the transmission and in nodes and uses cryptography to encrypt files. Storj offers a distributed blockchain cloud storage service and assure files are protected and not easily hacked or viewed by unauthorized users. As an open-source project, Storj links an extensive and growing community of developers who are enthusiastic to applications, building tools, and safeguard by design cloud storage. After encrypting data, it is sent network with easy to track basic metadata. Smart contracts are a computer programs that act as preprogrammed agreements, with the ability to self-enforce and self-execute itself. Smart contracts solve the problem of mediator between people, and help to exchange shares, property, money or anything valuable by avoiding the services of a middleman. The main motto of a smart contract is to enable two unknown parties do business or trade with each other, via the internet, without a middleman. This blockchain technology’s many features might be broadly expandable in numerous situations. These features are not only applicable to context of currency, payments or financial markets transactions, but beyond its application is diverse in economic development, health, literacy, science, government, etc., which enables human progress infinitely. The blockchain technology is quite complicated known, but in future there is the possibility of including both decentralized and centralized models. Like any new technology, in coming days it will promote the ecosystem development in a larger way. Thus, over time, the blockchain technology could exist in a larger network with both decentralized and centralized models.